PCRegFixer is a suspicious program that gets onto your system whenever you download a program that bundle this rogue and malicious program. If it gets installed on your computer and get activated, it opens the door for more and more online threats and infections to attack the user’s device and stay there. PCRegFixer cause to download more and more malware indirectly on user’s computers. Though files and programs attached to the PCRegFixer may not be dangerous like computer virus, but they are a big challenge for the privacy of its user. Its authors promote it as a tool to optimize your PC that computer users can use scan their PC and release some space by deleting some temporary, junk files and folders. This is ad-supported software as its writers generate profits by showing ads on the users screen so it brings lots of annoyance otherwise it may be useful application for the computer users. Because of being an ad-supported program, its authors allow users to download it for free. The aim of creating this application is just to earn money via ads and promotions. To send you’re the information about the browsing habits of computer users, it monitors users’ online activities hence users’ see the ad of their interest and appeal. It collects the information what you search, which website you visit, and which product you have purchased online. PCRegFixer may also target your personal information and sensitive data. If you have installed this utility on your device by mistake or intentionally, you will not only see pop-up advertisements, but also experience browser redirects as part of its advertising scheme. Other than the two reasons described above, it may also target to generate web traffics directing to partners web sites. Altogether, this program is meant for online advertising and promotion. If you want to get rid of annoying activities that it run and your system, you need to remove it completely from your device. Here are the instructions given below how can you get rid of this adware completely. Scan your computer with suggested anti-virus tools to make sure that PCRegFixer doesn’t remain anymore in your computer. This guide will help you to remove threats from the affected computer. 1. 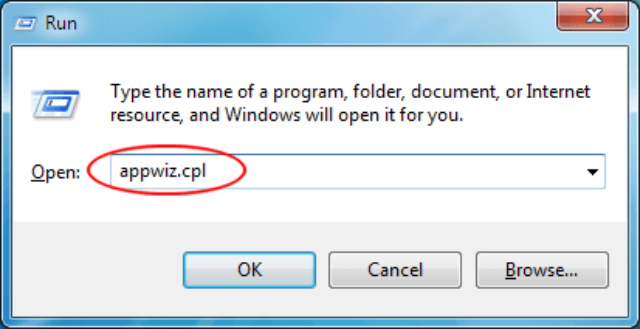 Go to Start menu and type appwiz.cpl in the Run or Search box. 2. Now Add/Remove Program window will open. Choose PCRegFixer from the list. 3. To remove the unwanted program, click on Uninstall button. Please click Yes if it prompts “Are you sure you want to uninstall PCREGFIXER?”. Save the file at a convenient location on the desktop from where you can access it easily. Once the download is completed, Windows will prompt about download. To run the program by clicking on Run button or browse the location of the folder by double clicking on the file defencebyteAVPro_.exe. Accept the license terms and follow onscreen instructions to carry on the remaining process. To find plug-ins, add-ons, PUP, harmful programs, and other malicious entities, run a scan on your machine. Follow the on-screen instructions to carry on with the remaining removal process. As soon as scan and removal process gets completed, reboot your system for everything to take effect. 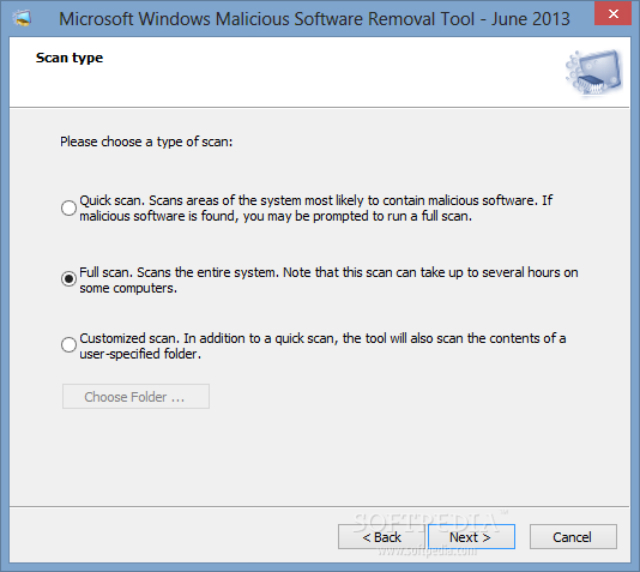 Malicious Software Removal Tool is a free scanner, download it. The tool will automatically check the operating system and suggest appropriate version as per your computer’s specifications. Click on Download button to start the download. Save the file to a convenient location, preferably choose the Desktop. Windows will prompt about that download has completed after downloading the file. To start scanning the PC for PCRegFixer, Click Run button. Another option is to browse the location folder and double click on the program file to run. Now you will Welcome screen, click Next there. Please pay attention to the message “This tool is not a replacement for an antivirus product.” This is the program made specifically to find and remove malware, viruses, Trojans, and other harmful entities and elements on the computer and it is not designed to protect the computer. Next, you will see window showing Scan Type. 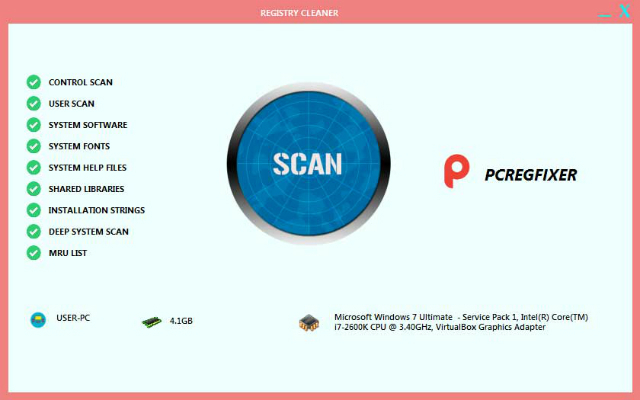 To make sure that all PCRegFixer entities and other harmful files left on your computer is found and removed, choose Full Scan. Advanced computer user may opt for Customized Scan, if you want to include other drives or in this scan. Full scan may take some time so wait until; Malicious Software Removal Tool doesn’t complete the tasks. However, by clicking on the Cancel button, you may cancel the scan anytime. Once the scanning gets complete, you will see all the identified threats. Please remove/delete all detected items. You may close Malicious Software Removal Tool when removal procedure is completed and by now PCRegFixer have been completely deleted from the computer. To proceed with the normal operation, please restart Windows.